13" x 13" Serving Tray / cutting board. Naturally durable, eco-friendly bamboo construction. 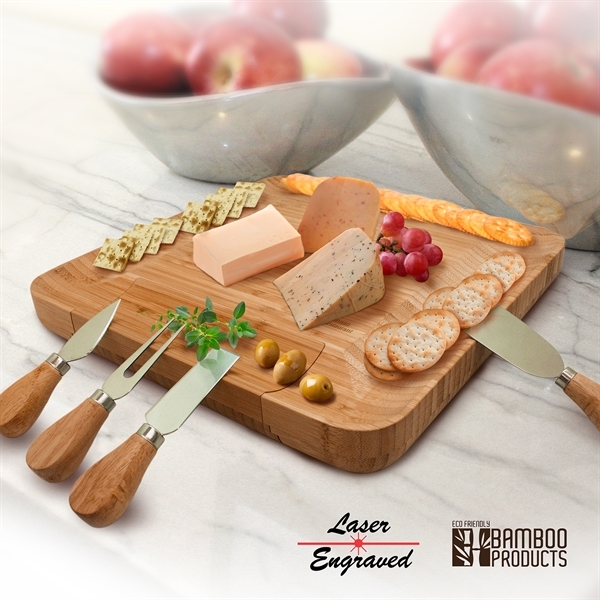 Comes with four durable cheese tools. Unique compartment included for your cheese tools. Size: 13 " x 13 " x 1.5 "